You are here: Home / Smoothies / What Ingredients Should I Include In a Weight Loss Smoothie? A weight loss smoothie must be high in nutrients while low in calories. This formula should ensure the body gets the ideal intake of vitamins and minerals to promote all-round health and well-being. Anyone that is deficient in nutrition is likely to feel quite sluggish, struggling with food cravings, often tired, and perhaps outright ill.
Water is the liquid of choice for someone looking for a base material with zero calories. Even though water has the benefit of a zero calorie count, it also lacks nutritional value. Add a milk base to include protein and micronutrients to the smoothie. Alternatively, use coconut water. Avoid fruit juice if making a weight-loss smoothie. A nutritional smoothie already includes the liquefied whole fruit, so there isn’t a need to add in more juice. Plus, the fruit juice often has a higher concentration of calories and sugar, and most of the beneficial fiber has been lost. 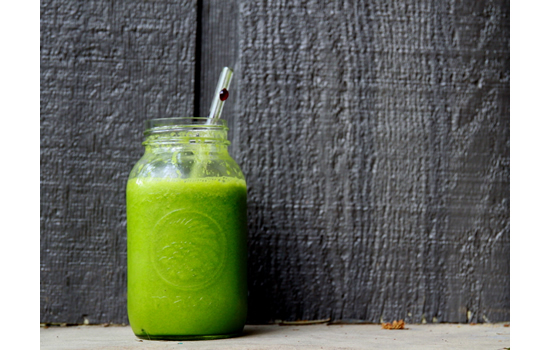 A healthy liquid option is green juice. Below are several base ingredients to add to a smoothie (1 cup serving) together with their respective calorie count. Almond milk comes out on top for not only offering valuable nutrition, but also being low in calories. A high percentage of nutrients will be made up from the wide-ranging fruits and vegetables in the smoothies. Plus, they will offer a healthy intake of fiber and carbohydrates. Vegetables are the preferred choice for low calories, but fruit is usually the tastiest way to go. Be more careful with the portion size if planning to include a lot of fruit. A limit on fruit is 2 cups per smoothie. A great choice for the weight loss smoothie is leafy vegetables. A quick introduction to a green smoothie is achieved by including ½ cup of baby spinach (raw). Protein should feature in any weight loss smoothies that are used as a meal replacement. An increased intake of protein is beneficial for maintaining muscle mass and giving a full feeling. During a well-planned weight loss program, the system looses body fat with some muscle. The amount of muscle lost is highly dependent on the protein consumed. Plus, protein helps to aid in muscle recovery after a high-intensity workout. So, for the smoothie taken after a workout, make sure to add in protein. Fat kept to a moderate level can aid in weight loss and good health. Fat benefits the body by helping to absorb vitamins and is also needed in areas like proper development and growth. Plus, a reliable intake of fat is needed to feel less hungry, provide taste, and add smoothness to a smoothie. Avocado, olive oil, and other healthy fats are promoted for helping to lose stomach fat.